It is still the great American dream to own one’s home, according to the Gallup’s annual Economy and Personal Finance Survey in 2013. However, as income levels tend to either remain stagnate or improve only slightly in an uncertain economy, the average homeowner needs to be creative and resourceful in terms of home improvements. There are many ways one can improve the value and beauty of their home without either taxing the budget or getting a home equity loan. Home improvement can be as simple as giving a room a fresh coat of paint or adding a couple of flowering bushes to your yard. An individual can turn eyes away from dreadful laminate counter top, a stained claw foot bathtub, or old and rugged wood floors, making it all come alive in a more stylish way without causing too much strain on already tight funds. A homeowner should never believe they are not creative or innovative enough to produce the home of their dreams and yet stay within their budget. 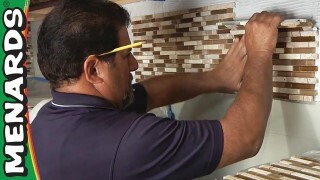 There are a number of resources that will inspire and spark imagination for home improvements. In her Huffington Post Blog, Brie Dyas suggested 19 ways to take an old kitchen and transform it on the cheap. Some of the simple and easy suggestions include, “treat utensils as art by corralling them in nice containers” and “use nice glass jars for organizing.” Other suggestions include adding a simple vase with flowers or a bowl with fresh fruit. She also suggested painting a chalkboard on the wall, using stick on back splash tiles, adding unique cabinet handles, and adding a colorful, cheery mat or runner to brighten a dreary floor. As for that outdated bathroom, Money Crashers’ Heather Levin pointed out, “according to Remodeling Magazine’s Cost vs. Value Report, an average bathroom remodel costs around $10,500 while an upscale remodel is going to run you a hefty $26,000.” However, Levin further pointed out that giving the bathroom a classy update can cost you much, much less. Much like Dyas’s simple suggestions for the kitchen, a bathroom redo can be easy and simple too. What about that deeply stained claw foot bathtub that you would dare not enter? Add a wicker basket filled with rolled bath towels for easy access when you jump out of the shower. A potted fern near the tub is also a perfect addition to give the bathroom an elegant, spa-like touch. Other simple additions of fresh paint and a few shelves to place jars filled with useful items can be just enough until one can do the total makeover. The same goes for the living, dining and bedrooms. It is surprising what a quick trip to a favorite consignment shop or a spontaneous stop at a garage sale can do to polish a drab older home. Simple items such as old art work, glass bottles, books, picture frames, and wooden side tables can transform a room into personal and eclectic elegance. One does not necessarily have to go deep in debt to improve the value and the beauty of their home. Your home does not have to look like your neighbors’ or the home on a cover of a remodeling magazine. In fact, make your home as special and unique as you are, giving it the stylist class it deserves without breaking the bank. Your pocket book will thank you and you’ll be surprised by the number of compliments you’ll receive. More importantly, you will be living the new, creative and resourceful American dream of home ownership. Wintertime septic servicing can be difficult (for us) and more costly (for you). So what are some considerations to think of knowing that winter is on its way? Know when your tank was last cleaned! If you don’t know call your septic service provider, most companies keep records of last date of service, tank size, etc. If septic maintenance is new to you the formula of seven minus the number of people in your household will give you a good idea when you should be considering a cleaning. Example (7-3 people= 4 years between cleanings). If your family uses extra heavy toilet paper or has been flushing “flushable wipes” you should consider cleaning your tank a bit sooner. While on this subject it is ill advised to flush wipes of any kind down the toilet, they are difficult to pump, hard on the wastewater treatment facilities and they can cause backups. If your system has an effluent filter fall is the time to clean it. Cleaning the filter is certainly not a fun job, but by cleaning it in the fall you greatly reduce the chance that it will clog up causing problems in the winter months. Check for and repair any leaking fixtures. Aside from being a waste of water and a stress to your leech field, leaking fixtures under the right conditions can cause an ice jam in the pipe to your tank. Don’t procrastinate! If your system is due for a tank cleaning this fall be sure to get it done before mid-December (earlier is better). Cleaning the tank removes a lot of heat from the septic system and thus pumping too late in the season can make your septic vulnerable to freezing. Lastly you want to think about your snow removal practices. Any time it is practical you should leave snow on as much of your septic system as you can. Snow makes excellent insulation and it will help protect your system from freezing issues. If you step outside and look around, chances are you will see trees, lots of trees, as far as the eye can see. Cut one down, which lets in more sunlight, and new trees will sprout or the remaining trees will grow even faster. Trees are actually solar batteries. They absorb energy from the sun and store it there until it gets used (or not). Trees can be utilized as energy in numerous ways. In forestry, trees are chipped and sent to a facility to generate electricity for the grid. In lumber manufacturing, sawdust is burned to power the wood kiln that dries the lumber. Trees can also be processed into firewood or wood pellets to heat your home, your school or your business. When wood is burned, it gives off Carbon Dioxide (CO2). Living trees need to absorb CO2 to grow. This sets up a “Carbon Cycle” where CO2 is continually being released, and then re-absorbed, then released. Wood energy is considered Low-Carbon or Carbon-Neutral because of this carbon cycle. When fossil fuel is burned, however, it also gives off CO2, but without any means of re-absorbing it later. That fact, plus the fact that our fossil fuel stores are finite and limited, makes fossil fuel non-renewable. Recent years, the price of fossil fuel has been all over the map. Today, the price happens to be low, but as we have all seen, it can spike in the opposite direction at any time. Maine has the potential to be the new “Saudi Arabia of renewable wood energy”. We have vast forest resources and dwindling markets for it, as paper mills close one after the other. Money spent on Maine renewable wood energy is money that stays within the local economy, trickling down to every layer along the way. Given all these facts, one might wonder why all Maine households are not utilizing local renewable wood heat. That’s a good question. I believe we are missing a huge opportunity. 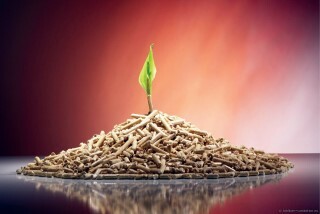 Modern wood pellet heat is clean, renewable and can be automated to be almost as care-free as fossil-fuel (oil, propane or gas). Now may be a good time for us to re-consider our priorities, and not only think long-term, but think local and renewable. Great question! I have an easy answer. It can’t. I guess I could end the article here, and would be my shortest article, but I should add a little explanation. The output of a generator is determined by the kilowatts it can produce. A 6,500 watt generator can only produce about 27 amps. A 10,000 watt generator can produce about 42 amps, and it doesn’t matter if it is a portable or an automatic. There is a simple formula that can be used; watts divided by volts will equal amps. The generator produces 240 volts. 6,500 divided by 240 equals 27. However, it sure seems like a 6,500 watt does more than a 10,000 watt, and there is good reason for that. When you use your portable and have it run the whole house, you can be selective without trying to be. For example, you may run a few burners on the stove, but not the whole stove and oven, your water pump, heat, refrigerator, freezer, and air conditioner may start at different times. As a result, you have the feeling that you are running your whole house, which in a way you are. However, if you would have a couple of those kick on at the same time and on the same phase, it would trip your generator off. The National Electrical Code treats portable generators and standby generators differently. Portable generators do not have to be sized by the load it will be served. What that means, is that you could have electric heat and use a portable, it would still meet code. Of course you will probably burn out your generator fairly quickly. Automatic generators, on the other hand, have to be sized to the load it will serve. If your entire house is gas, such as gas stove and gas dryer, you could probably get by with a 10KW. However, if you have an electric stove, the minimum you would need is a 13KW. There are many options to meet this need, one of which is what is called power management, and one is called load shedding. Some manufacturers use one, and others use the other. Many companies will say these are one and the same, but they are not, there are huge differences. 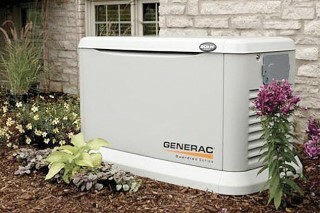 It is very important to know the difference before you invest in your generator. Please contact your local generator specialist to learn more. This article was brought to you by Bob Cyr, owner of Dirfy Generators. With the onset of the colder temperatures our little friends will begin there seasonal trek in search of a nice warm place to spend the winter. I have experienced many mouse issues this past summer and the huge acorn drop we are having should make for a heavy mouse fall and winter. Weather you think they are cute or are repulsed by them, you don’t want them in your home. There are many facets to consider in mouse control. The first is taking a look on your exterior. Begin by removing any harborage such as tall grass or plantings, items stored against the foundation and the biggest problem I always see, firewood. The next step is mouse proofing. Any hole you can fit your little finger in needs to be sealed. Take the time to go over your entire home and then start sealing. Expandable foam works well and is fast and inexpensive. Also don’t forget to check your garage door seal on the bottom and the sides as this is many times the entry point for the little creatures. These seals are easy to replace with basic tools. Many times these steps will prevent you from experiencing the invasion. Now is the time to practice some control methods. There are many items available for control, but the best approach is to use a variety. Glue traps, snap traps and baits used in the areas where evidence is found are a good start. Be careful if you have pets or children and always read the label of the product. If you continue to have problems ask a professional for help as mice can be pretty tricky to control. In closing, I will give you a few facts why they can be hard to control. Pregnancy lasts 21 days producing 5 to 8 young. The female can have up to 8 litters a year. The young reach sexual maturity in 35 days and the average life span is one year. Can you do the math? And last and best, they can carry many transmittable diseases as well as two mice in a 6 month period can leave you with 18,000 droppings and 12 ounces of urine. Good luck and happy hunting!